Tomorrow, the St Francis of Assisi school community will be celebrating Grandparents Day. We would like to invite ALL children’s grandparents or special friends to attend a morning of fun and enjoyment. After the performance in the hall, we invite you to bring a picnic morning tea to share with your own family at recess time in the Peace Garden. We then invite you to come into the classrooms to see the wonderful work the children are doing. This day is a wonderful celebration for grandparents and children to come together and value what we at St Francis see as really important, our God, our children, our staff and our families. We hope you will join us at this very special occasion. Our Ninja Colour Run launch took place last week and the Hall was full of excited children as Mr Young gave everyone a sneak preview of the amazing prizes that ANY student can win! Whether a bike, drone, big screen TV, trips to Questacon, sports gear galore, books, pyjama day or even a uniform free day is your kind of prize it is all there for a member of our student community to win. Students are encouraged to seek donations from family and friends and these can be sent in to either the Front Office or using the QKR! app (details are on the Colour Run notes that have been sent home). This week ANY student who has collected a donation and brought it into the Front Office, or collected it through QKR! will be able to enjoy an indoor soccer competition at lunchtime on Friday. The teachers will also be putting together their own team and look forward to defeating every student team that turns up! Parents, your opportunity to have some fun on the day out on the course with your kids comes in the form of being able to squirt them with colour!! If you want to grab a bottle full of colour and 'decorate' the kids in our school then please get in touch via email, phone call or written note with Mrs Aiken (Yr 5 teacher) and she'll give you the chance to have some fun on the day as well. 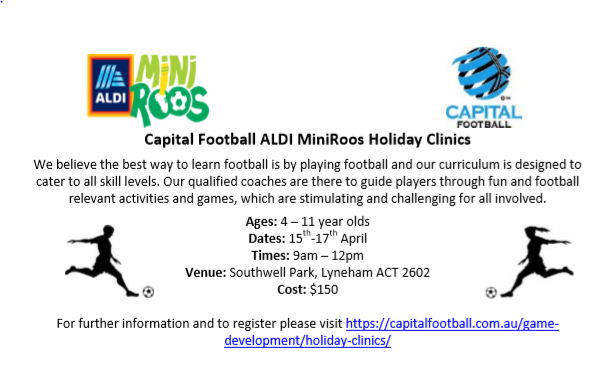 Be warned though Mums and Dads these spots fill up quickly so we will operate on a first come, first served basis! So get chasing that sponsorship boys and girls and we'll see you on Friday! 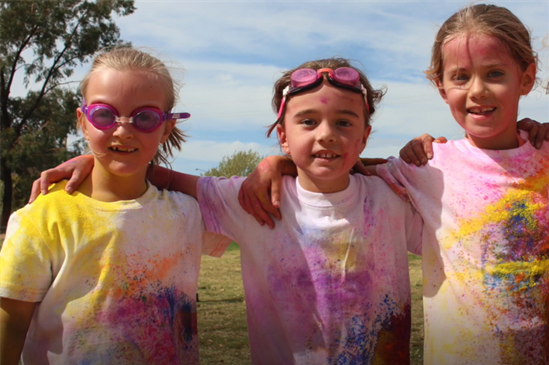 The St Francis of Assisi Primary School enrolment period is from Monday 6 May – Friday 31 May 2019. Enrolments will be taken for students to start school with us in Kindergarten and other year levels in 2020. If you know of anyone outside of our school community who has a child at or about to enter school, please let them know of the opportunity to enrol at St Francis of Assisi Primary School during the enrolment period. 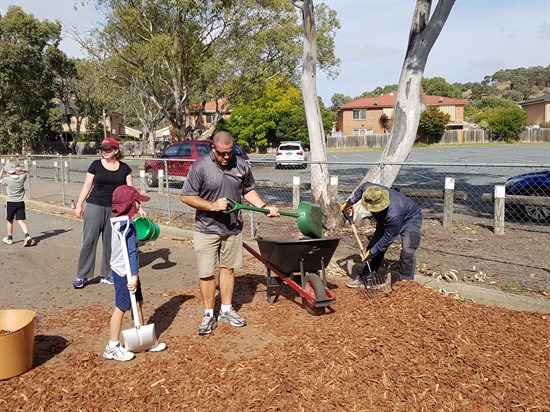 Thank you to all the families who came to our working bee on Saturday morning. It was a real team effort and we appreciate you taking time out of your weekend to come and help with jobs around the school. Thank you to everyone who brought empty bottles and cans to the school last year. Money raised was donated to the Drought Relief appeal at the end of 2018. We raised a total of $137.40 for this cause. Thank you to Liam R for initiating this fundraising idea! Please continue to bring your empty drink containers to school. 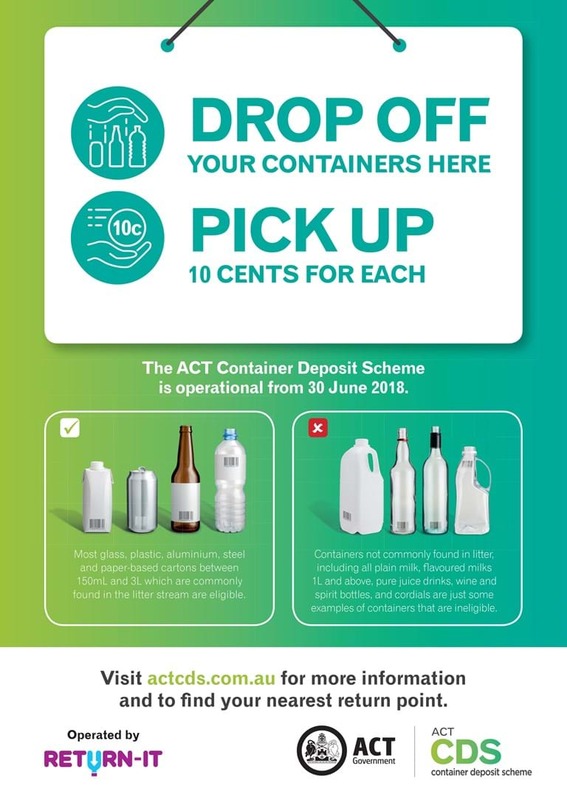 This year, money raised through the Container Deposit Scheme will go towards new toys for the playground. We have already purchased some new sand pit toys this year for the children's enjoyment at recess and lunch times. Thank you to all the families who have settled their Term 1 school fee account. A reminder to please pay your Term 1 school fee account as soon as possible. Please let me know if you would like another copy of your school fee statement for this term. For all school fee enquiries, please email me susan.rowell@cg.catholic.edu.au or call me in the office from Tuesday to Friday.